Little people are always very busy people – and none are so busy as toddlers! Which makes them loads of fun to be with, but it also means they need plenty of toys that engage and encourage them to learn, to keep them occupied and out of trouble. 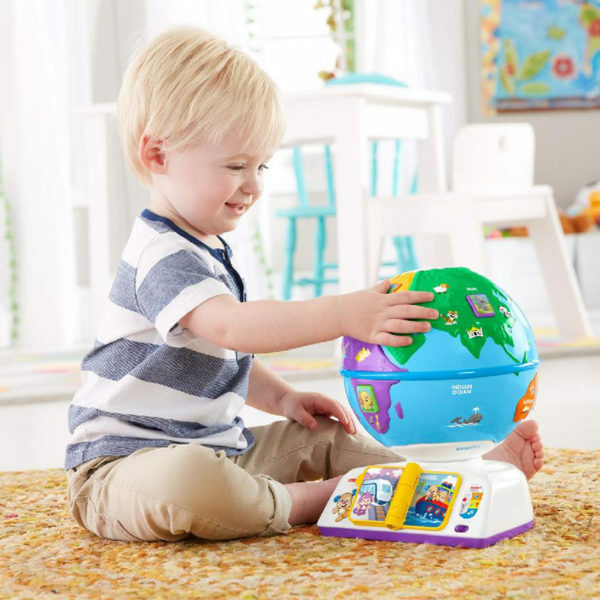 Babies can hold the whole world in their hands, and take it for a spin, with this interactive globe. By pressing the seven animal buttons on the globe, they’ll be able to explore the continents with greetings, music and animal sounds. There are over 100 sounds, songs, tunes and phrases to make learning about the world fun and interactive. 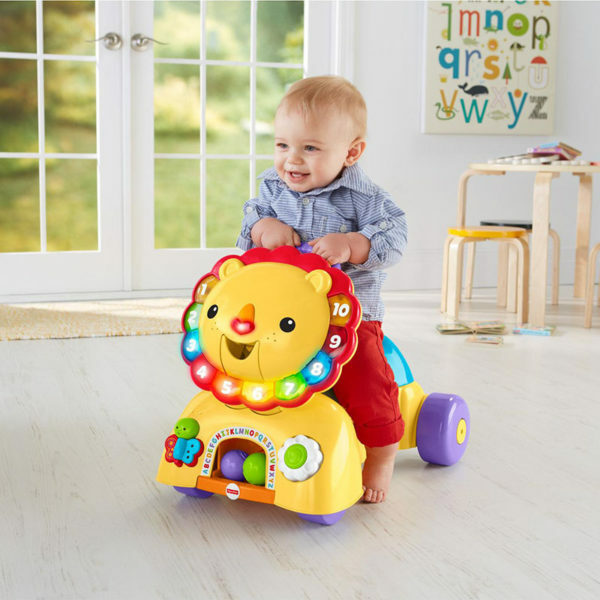 With 3 ways to play that grow with your baby, the Sit, Stride & Ride Lion is triple the fun – and so versatile! Each stage takes little ones through important developmental milestones. For sitting babies, there are heaps of hands-on activities to make this lion a roaring good time! And when your little one is ready to get up and go, lift the seat for a handle to steady first steps while fun phrases and songs encourage them to keep going. 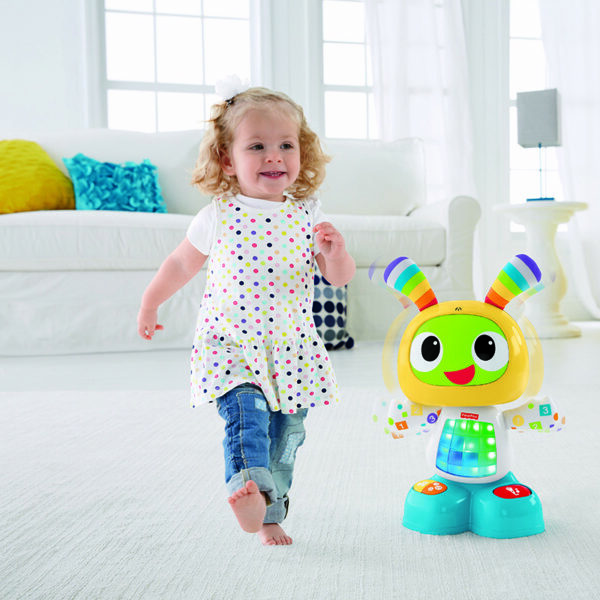 Your little one will love to get the dance party started by pressing BeatBo’s tummy or any of the buttons on his feet to activate fun songs, learning content and dance moves. This futuristic friend even allows Mummy or baby to record a phrase, and he’ll remix it into his favourite song. Here’s a fun toddler toy to inspire role playing! With this play sink, little hands can turn the sink knobs, pump the soap bottle, or remove the toothbrush, toothpaste and comb to hear songs and phrases that teach them about daily routines, familiar objects, colours, letters and more. Curious toddlers will love peeking into the shiny mirror. And a removable, soft washcloth adds to the realistic, good, clean fun! The Smart Stages technology lets you select the stage that’s best for your child on any given day so you can change the level to switch up the learning fun, and offer up a different variety of phrases, songs and sounds for your little one.